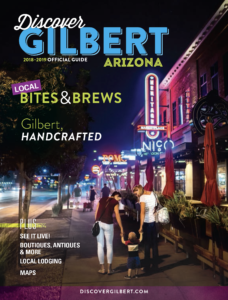 Gilbert may be a large town, but its friendly atmosphere and unique amenities are a continual draw for visitors. Situated only 17 miles southeast of Phoenix, Gilbert offers easy access and a quick commute to two airports. 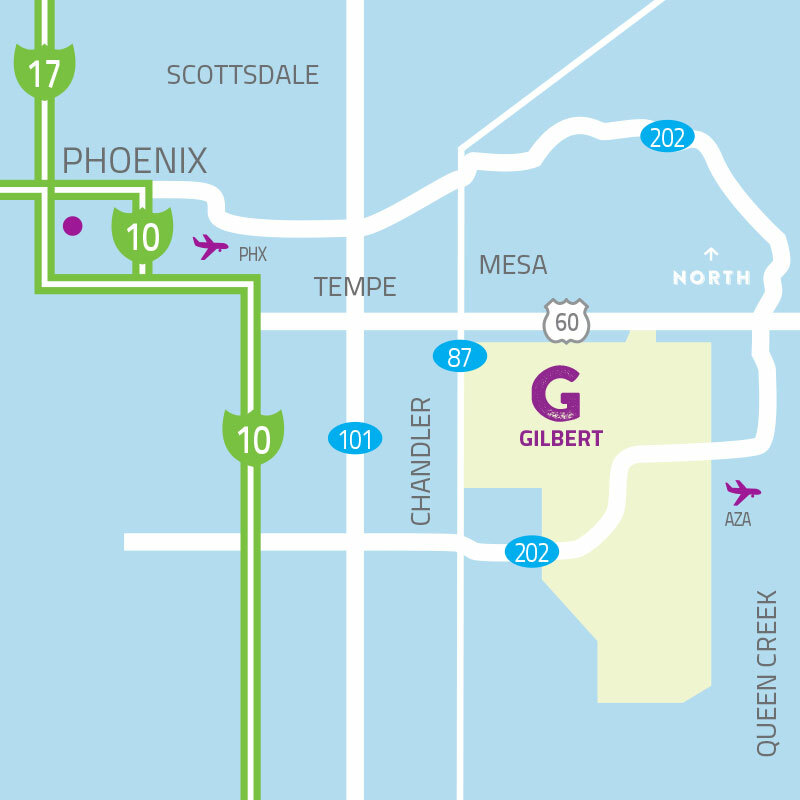 Gilbert offers easy access and a quick commute to two airports. Drive Time: Approximately 20-25 minutes Directions: From PHX, head East on I-10, then continue East on U.S. Route 60 uuntil you reach one of the Gilbert exits. Drive Time: Approximately 15 minutes Directions: From AZA, head North on S. Power Road, continue past AZ State Route 202, then head West on E. Elliott Road until you reach one of the Gilbert exits. Drive Time: Approximately 15 minutes Directions: From Mesa, head South on AZ State Route 87, then continue East on U.S. Route 60 until you reach one of the Gilbert exits. Drive Time: Approximately 30 minutes Directions: From Phoenix, head East on I-10, then continue East on U.S. Route 60 until you reach one of the Gilbert exits. Drive Time: Approximately 30 minutes Directions: From Scottsdale, head South on AZ State Route 101, then continue East on U.S. Route 60 until you reach one of the Gilbert exits. Drive Time: Approximately 2 hours Directions: From Tucson, head West on I-10, then continue North on AZ State Route 587, then head East on AZ State Route 202, exiting on S. Gilbert Road, and continue North until you reach one of the Gilbert exits.